We accept same-day emergency appointments. Call us today at (410) 775-5536. “Where can I find emergency dental care near me?” It’s a question that many ask when a painful and inconvenient dental emergency shelves their plans and ruins their day. Access to emergency dental care when you need it not only ensures comfort, it also protects your long-term dental health from untreated dental diseases that could progress to severe conditions. When you need emergency dental care, we’re here. Our emergency dentists in Baltimore treat patients throughout our regular business hours. Call us to schedule an urgent appointment. We’ll do everything possible to get you into our emergency dental office quickly. Once you’re here, our mission is to diagnose your problem, relieve your pain, and determine if you’ll need any additional treatment to prevent a recurrence. What symptoms or dental problems indicate that I need to find emergency dental care near me? You should obtain emergency dental care when your symptoms are causing pain or disrupting your life. Here are a few conditions that often require emergency care. To avoid making a fracture or break worse, call us to schedule time to repair your damaged tooth. A broken or fractured tooth is more vulnerable to ongoing damage. If you act quickly, you’ll have a better chance of saving your tooth. Our emergency dentists recommend taking the following actions after you experience an injury that results in a knocked-out tooth. Avoid touching the tooth’s root. Handle it by its crown. Rinse all pieces of the tooth in warm water to remove debris. Gently attempt to place the tooth back into the socket. Alternatively, store it inside your mouth between your gum and cheek until you can get to a dentist. Call our office immediately for instructions. When you have a severe toothache, it can be hard to concentrate on anything else. Contact us to schedule treatment as soon as possible, and be sure to mention any other symptoms that you’re having to the dentist. Symptoms that often accompany toothaches include pressure, ear pain, fever, and swelling. When cold and hot liquids make you recoil in pain, your sensitive tooth may be serious. Sudden or unusual tooth sensitivity can be due to infections and tooth injuries such as fractures. Obtain urgent dental care as soon as possible to unravel the mystery of sudden sensitivity. Dental decay progresses slowly, but it eventually exposes the roots and nerves of your tooth, which causes sensitivity and pain. Our emergency dentists can provide relief from your symptoms and determine the best way to restore your decayed teeth. An abscessed tooth occurs when a tooth root is invaded by oral bacteria. The resulting symptoms include severe pain, sensitivity, foul tastes and odors, facial swelling, fever, swollen glands, and open or pus-filled gum sores. Contact our emergency dental office immediately if you suspect that you may have developed an abscessed tooth; delaying treatment can lead to serious complications. A lost or unstable filling doesn’t just make eating a challenge, it can also increase your risk of decay in the affected tooth. Call us as soon as possible so that we can replace the filling. Broken crowns and missing restorations affect your appearance and increase the risk of damage and decay in affected teeth. Let our emergency dentists provide a temporary or permanent replacement crown to keep your dental health and your smile in top condition. Orthodontic devices are made up of metal brackets and wires that can break or loosen, which causes pain, irritation, and even injury. Our dentists will provide symptom relief and stabilize your appliance to prevent further discomfort. Teeth grinding usually occurs at night while you sleep, and it can cause significant damage to your tooth enamel over time. If it becomes an urgent problem, our dentists can strengthen your enamel to protect your teeth and help you minimize grinding by creating a fitted night guard. Sinus pressure isn’t always due to a problem with your sinuses. Impacted wisdom teeth, infections, and other dental conditions can cause the sensation. If persistent sinus pressure is causing misery, our dentists can investigate possible dental causes. I’m concerned that my symptoms indicate a more serious medical problem. Should I still go to an emergency dental office near me? Some serious symptoms require advanced medical treatment that emergency dentists in Baltimore can’t provide. If you suffer an injury to your head, face, or jaw, or you experience severe facial swelling or uncontrollable bleeding, visit the nearest hospital emergency room or dial 911. Because every patient has a unique condition that requires specific treatments, our emergency dentists can’t provide a price estimate until they examine you and diagnose your condition. Your dental insurance will usually reduce your emergency dental care bill. If you don’t have insurance, the DentRite® discount plan can also provide significant savings on many dental treatments and services. Everyone is accepted, and you don’t have to worry about usage limits. Contact us for program details. If you wish to make multiple payments, we also offer financing options. It’s midnight, and my filling just fell out. Do I wait to contact the emergency dental office near me tomorrow? If your emergency is minor, you can probably safely wait until morning or the next week day. However, you don’t have to tolerate pain or delay treatment for a serious problem just because our emergency dentists are away from the office. To protect your dental health, our emergency dentists in Baltimore recommend seeking treatment for potentially serious conditions and injuries at your local emergency room. 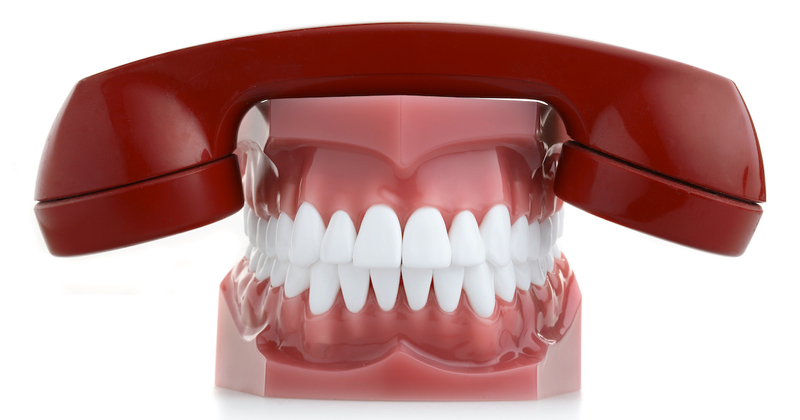 When you need to reach our dentists during regular business hours, please call us. While you may think that tooth pain is mainly a discomfort, it can potentially be dangerous if you suffer a dental abscess. Learn about these dental risks and how to protect your health.